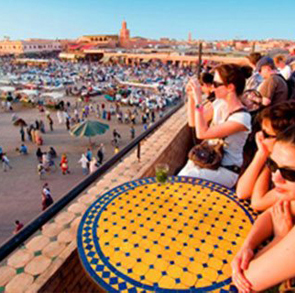 Thinking of how else to make your Marrakech experience all the more authentic? One of the ways is to go on a Marrakech camel ride! If you’ve never been on a camel ride before, you’re in for a great treat. Camel trips are a unique experience in itself, and something that not many travelers can experience elsewhere. Whenever you’re in Morocco, don’t pass up on an opportunity to take a camel trek from Marrakech. However, camel tours aren’t the same across travel agencies – so it’s best to choose one that will really give you the best experience out of all. 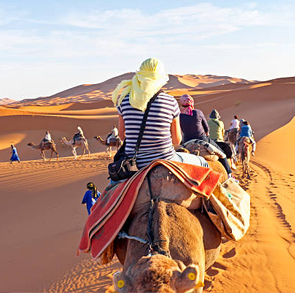 Fortunately, our agency offers quality camel riding tours for tourists that visit from all over the world to explore Marrakech. Day trips on camel back are in particular a very popular way to discover and experience the area, and is an unforgettable way to see what Morocco has to offer. You can expect unmatched service from a highly professional and experienced team that is ready to show you the sights and sounds that you will enjoy and take your breath away. 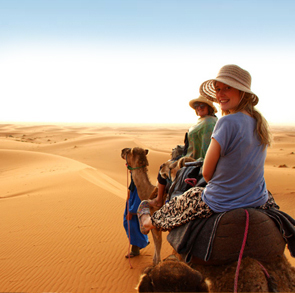 With daily departures, it will be very hard to miss out on an experience like Morocco camel trekking! In particular, a sunset camel ride through the Palm Grove of Marrakech is one of the most sought-after experiences in the region. With the region being just outside the city, it is the perfect trip for those who wish to ride a camel yet don’t have the time to go off on a desert tour. You’ll get to enjoy a fantastic camel ride throughout the beautiful Palm Grove, trekking through a lush area that is home to more than 100,000 palm trees. 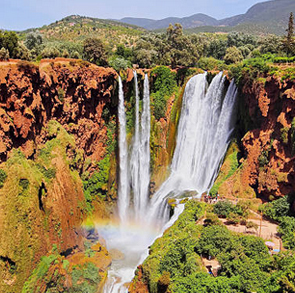 It includes a visit to authentic Berber villages to experience their traditional culture and way of life. 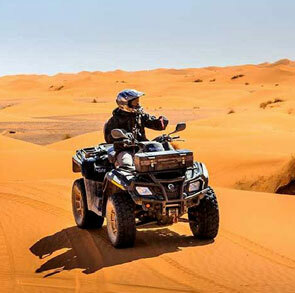 Perhaps an overnight tour might be more up your alley – in which case, a two day stay on a desert tour from Marrakech to Zagora with a camel ride in the Sahara is the way to go! 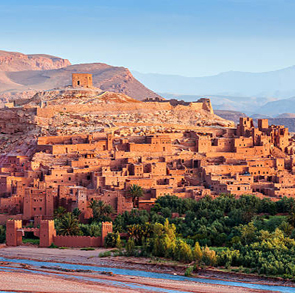 Here, you’ll get to visit the authentic Kasbah of Ait Benhaddou where you can also take your lunch. The next part is a tour through the old route of Saharan trader caravans, which culminates in a sunset camel trek to the campsite in Zagora. 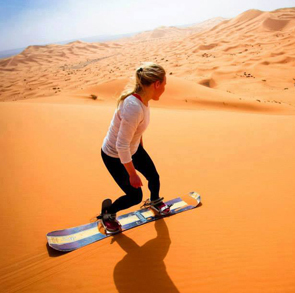 A day or two might not cut it, so the option to go on a 3-day desert tour from Marrakech to Merzouga coupled with a camel ride in the Sahara certainly sounds appealing. With this option, you’ll cross the High Atlas Mountains through the Tizi-n-Tichka pass with a stop at Ait Benhaddou Kasbah . 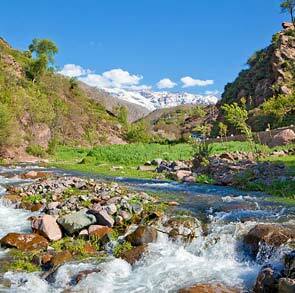 You’ll get to take in the lovely palm groves at Skoura, as well as marvel at the Todra Gorge, among others. 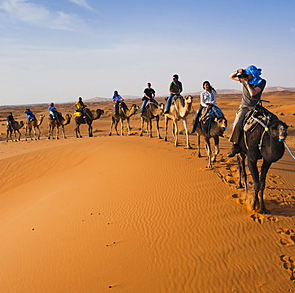 The trip culminates in a camel trekking experience which starts at Merzouga Erg Chebbi, where a sumptuous dinner al fresco style awaits you in the lovely Berber camp. 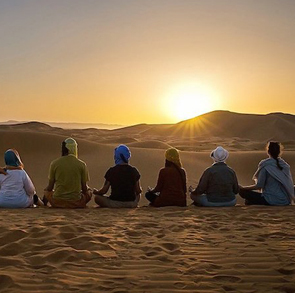 And if more time is needed and you just can’t get enough of Morocco, a 3-day desert tour that takes you from Marrakech to Fes, with a camel ride in the Sahara might be the type of trip for you! You’ll get to see everything in the three-day trip, plus an extra day to explore the famed city of Fez for a chance to explore one of history’s best kept stories. 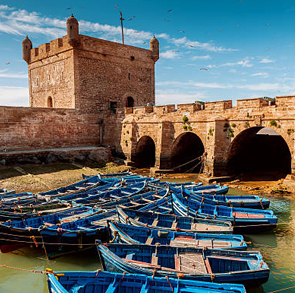 Morocco is best lived by going through the experiences of the locals, and these three trips have enough local flavor in them to leave a satisfying taste in your mouth – as well as more wanderlust to want do it all again, someday! For more information on how to join one of these unforgettable camel trekking tours, please don’t hesitate to contact us .